Sometimes all you need is a good idea. This is more so if you happen to be a blogger. A lot of bloggers have enough time on their hands to blog everyday yet they seem to be lacking ideas. If you are facing a dearth of ideas for blog posts, you are certainly not alone. For bloggers who want to write good quality content that is interesting, a dearth of blog post ideas is something they have to deal with often. But don’t worry. There are ways in which you can find unique blog post ideas for your blog. Here’s how. Forums are a great place to pick out new ideas for your blog. Lots of people log into popular forums everyday to express their thoughts, ideas and opinions. Visit such forums that are related to the niche your blog deals with and see what people are interested about and are talking on. This will give you some pretty good ideas about topics to write about. For example, if your blog is about parenting, visit forums which have lots of moms and dads coming in and find out what interests them. Social bookmarking sites are another place where you can get unique idea of what to write on your blog. Sites like Digg and StumbleUpon have articles on their home pages which indicate that those are the topics people searched on recently. This will give you a good idea of what to write on the niche you are interested in. The blog comment section of other blogs is a wonderful place to go visit for unique new ideas. Yes, that’s right. 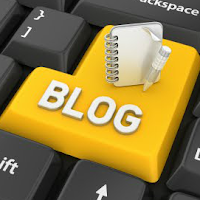 Visit blogs which are related to the topic your blog is about and find out what people are commenting and discussing in the comments section. Often, you will find ideas that are fantastic and worth writing about. News sites are a wonderful place to get unique ideas for your blog. Good news sites like the ones by Yahoo and Google are places where the latest and most happening news from all around the globe are reported. You can easily find lots of things to write about, especially if your blog deals with current affairs. Interview someone you admire. It could be a fellow blogger, a person you admire or your aunt. Only thing, the interview has to be interesting and worthy of reading. I hope this post will help you to find blog post ideas. If I have missed any ideas feel free to say your ideas as a comment. Thank you. Thanks I found your blog, I have so many information have it from you. I am a new blogger and I'm reaching information to hep me to write good and quality content.